I will admit to putting peanut sauce on anything that is edible. Pasta. Cheese (with or without crackers). Vegetables. Chicken. Hamburgers. Rice. It really does work with (almost) anything. Even on ice cream? I’ve never tried, but I can totally see it working out for you. I have always maintained having a bottle in my pantry at all times ever since I can remember buying my own food. I’ll even admit to stocking up on several bottles of the stuff when I found it on sale ridiculously cheap at a bargain outlet store AND I had a coupon for them. 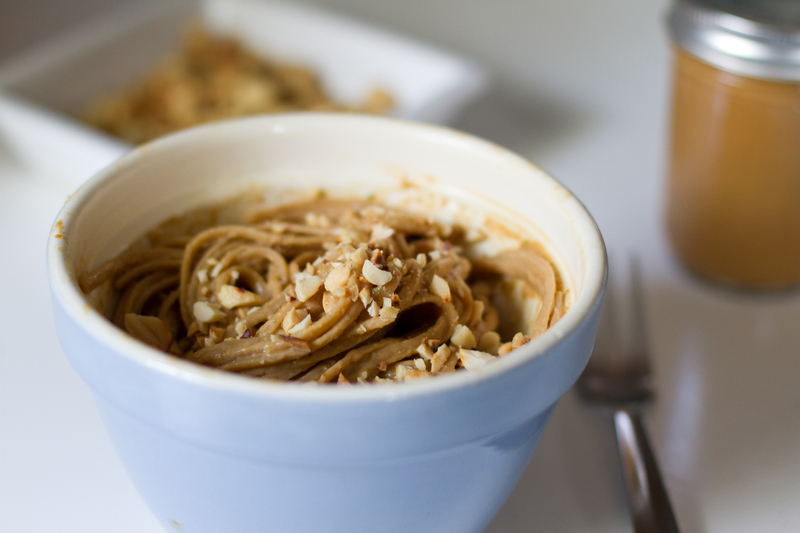 A few years ago, I was making a rice noodle dish and made peanut sauce from scratch. Life got a whole lot more awesome. It is incredibly simple to make. And you want to modify it to suit your needs? Go right ahead…you’re in control! Combine all of the ingredients into a food processor and blend until smooth. Put in a resealable container, such as a mason jar. Put it on whatever you’d like. I put some over whole wheat linguine for lunch and topped it with some chopped peanuts. This sounds like a great recipe- simple but full of great flavor. 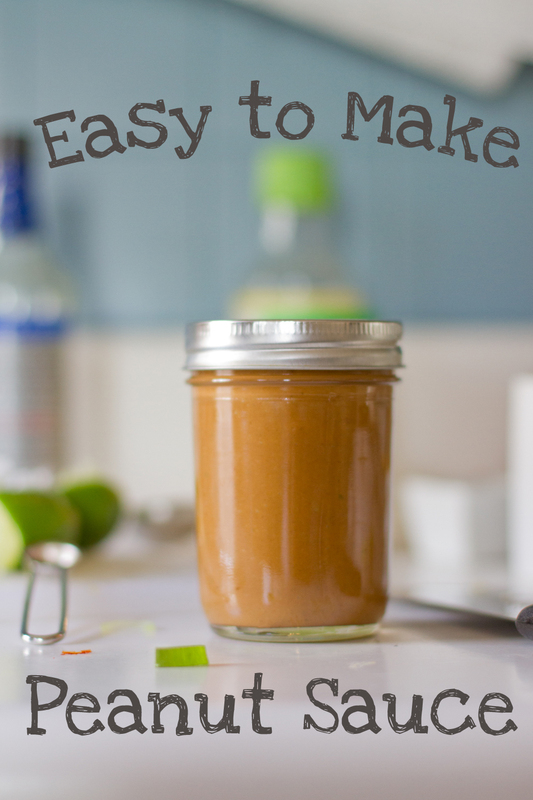 Awesome photo and a really great recipe – it’s such a nice idea! Thanks! I’m going to put it on everything in my kitchen. Uhm, I think I’ve totally witnessed you putting peanut sauce on ice cream before… you are addicted!!! You’re so right—hard to think of anything that peanut sauce doesn’t go with! Love the photos. Thanks for reading! I’m glad you enjoy it. Hope you try the recipe and put it all over good things! I love peanut sauce! I have never made it myself though. You have definitely inspired me to! It’s insanely easy and without all the oil and not-so-good-for-you ingredients! Good luck! thank you for this recipe! the first & only time i made peanut sauce, i hated the result. this sounds yummy!